Applications: Uses for Basic Chromic Sulfates include metal finishing, pigments, textile mordants, leather tanning, and catalysts. 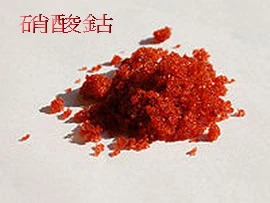 APPLICATIONS: Chrome Alum Crystal is used in leather tanning, textile dyes, photography, ceramics, and as a cross linking agent in organic compounds. Chrome Alum Crystal is a precipitated product with lower chrome content and more waters of hydration than Chrome Alum Powder. 硝酸鉻-硝酸鈷-氯化鉻-氯化鈷-BTA-達沛實業版權所有Copyright © 2013 All Rights Reserved.